As you may know, I love subscription boxes. And recently, there have been some exciting Disney related ones coming out! 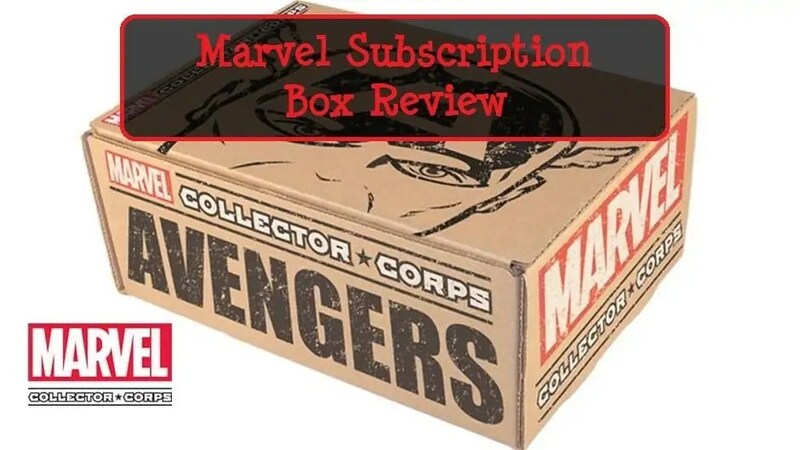 For those of you who are fans of Marvel, I have a feeling you’re going to love this new box: The Marvel Collector Corps. They send out every other month and are $25 per box. Each box has a different theme, and this one was the Avengers. My friend who gets Loot Crate has subscribed to this box as well. Perhaps the most exciting item in the box was the Hulkbuster Pop Vinyl. 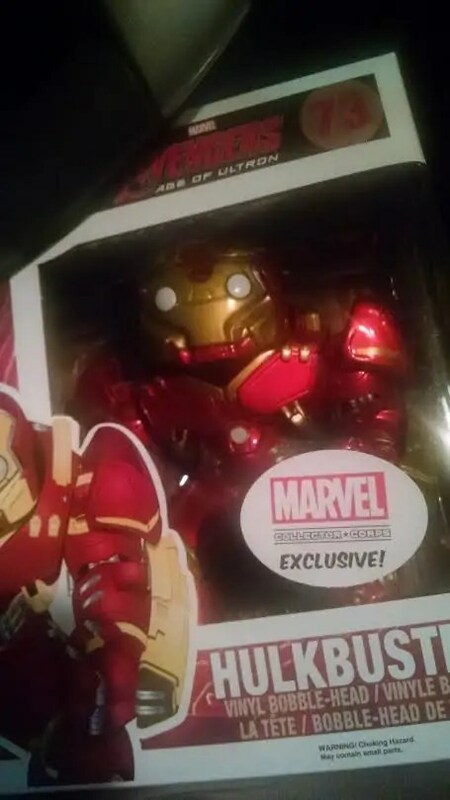 My friend collects Pops so he’s always excited to get one, and the hulkbuster was very popular in the new movie. It’s also exclusive to this box so that is pretty cool! 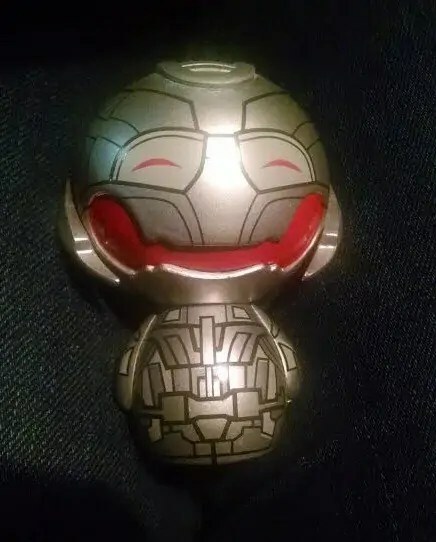 There was another vinyl figure as well, called “Dorbz” and it was Ultron. It’s cute! We weren’t sure if it was supposed to be a mystery box or not but it seems not as everyone got Ultron. Another cool thing was that the box included a t-shirt. A shirt and a Pop vinyl is pretty much the jackpot of geeky subscription boxes for my friend. I thought this shirt was pretty cool, too. I like the sort of retro poster style of it. 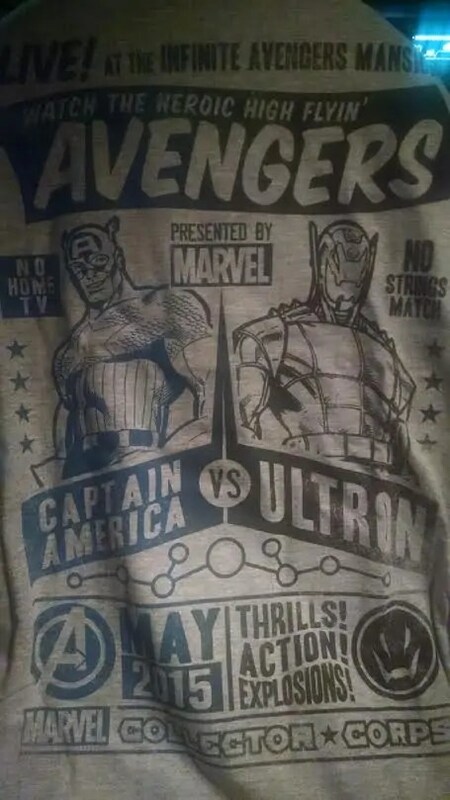 Apparently there were a couple of different shirts featuring a different Avenger vs. Ultron, but I was excited to see my favorite, Captain America! 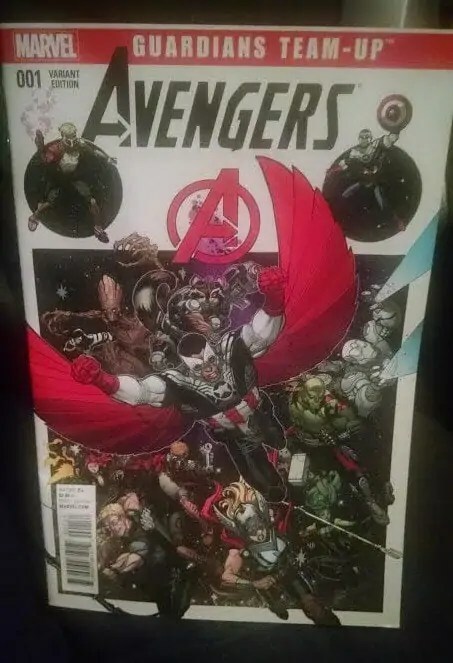 A comic book of the Avengers is also included, which I appreciate since it goes back to the roots of these super heroes. I haven’t read it yet but as I’ve only experienced the movies so far I’m looking forward to reading about them in comic form! 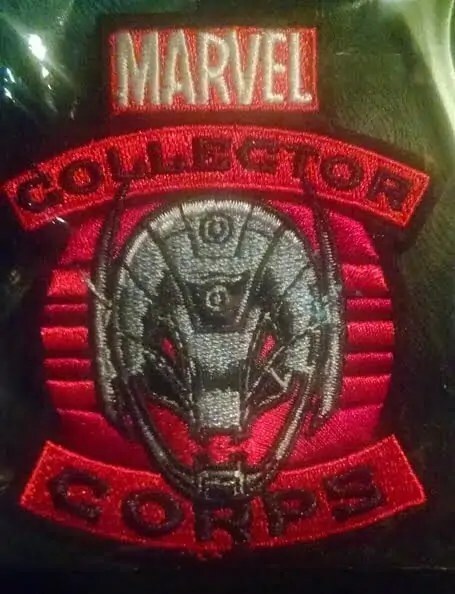 There were also two smaller items – a pin and a patch. Both are fun little extras that helped add to the value and fun of the box! Overall I was very impressed with the Marvel box. It had some interesting, good quality items in there and not just lots of small little junky things. Apparently the next box’s theme is Antman – I know nothing about him but I’ll probably see the movie so I look forward to what’s in the box! I’ve been thinking of reviewing this one. It looks pretty good! 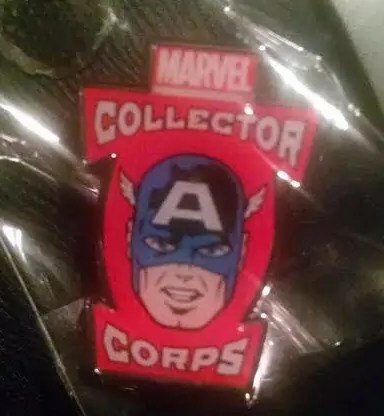 I love the pin as I am a pin collector. The first box was very cool so I’m excited to see what else they do in the future!